From L-R: Pilot dolphins enjoying the surf; A humpback whale tail whip. In a few hours we will be docked at Stanley on the Falkland Islands, where we will spend a couple of days demobilizing the ship, taking inventories of samples, packing up the equipment, and generally clearing up for the next cruise. 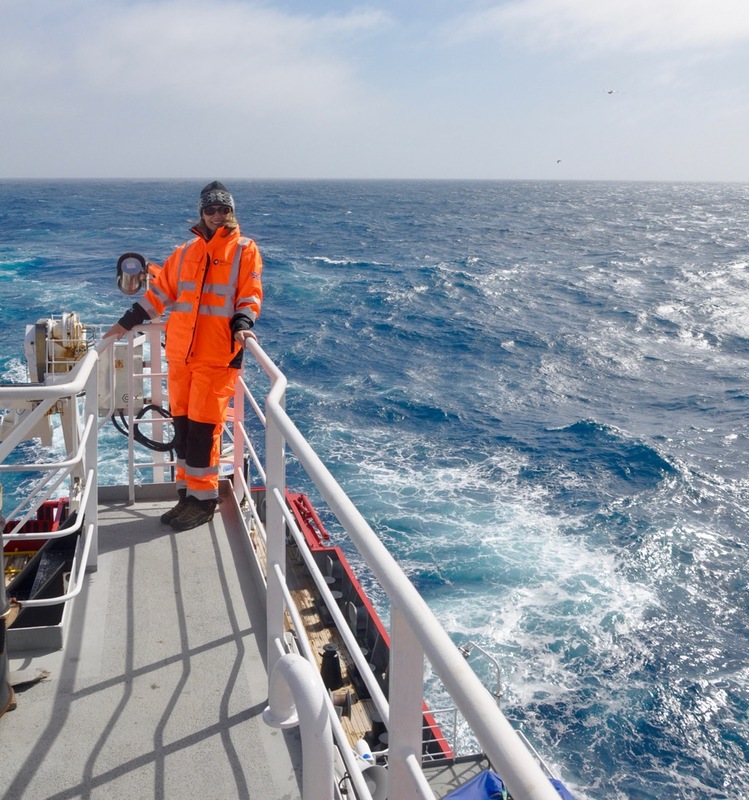 The RSS James Clark Ross will be leaving Stanley in early December with a new group of scientists working on a project called ICEBERGS, they will be travelling along the west side of the Antarctic Peninsula, to see how rapidly retreating glaciers are changing the environment there. They will also be collecting gravity cores to put recent ice shelf retreat into historical (Holocene) context. You can follow them on: Instagram: developingoceans and twitter @ICEBERGS_JCR. I am tweeting @MelJLeng and @ORCHESTRAPROJ and Facebooking (Orchestra project) during this trip, a full list of blogs from the expediation are available from the drakepassageblog.worldpress.com page.